Lagos (Yoruba: Èkó) is a city in the Nigerian state of Lagos. The city, with its adjoining conurbation, is the largest in Nigeria, as well as on the African continent. It is one of the fastest growing in the world, and also one of the most populous urban agglomerations. Lagos is a major financial centre in Africa; the megacity has the highest GDP, and also houses one of the largest and busiest ports on the continent. Lagos initially emerged as a port city which originated on a collection of islands, which are contained in the present day Local Government Areas (LGAs) of Lagos Island, Eti-Osa, Amuwo-Odofin and Apapa; the islands are separated by creeks, fringing the southwest mouth of Lagos Lagoon, while protected from the Atlantic Ocean by barrier islands and long sand spits such as Bar Beach, which stretch up to 100 km (60 mi) east and west of the mouth. Due to rapid urbanization, the city expanded to the west of the lagoon to include areas in the present day Lagos Mainland, Ajeromi-Ifelodun and Surulere. This led to the classification of Lagos into two main areas - the Island, which was the initial city of Lagos, before it expanded into the area known as the Mainland. This city area was governed directly by the Federal Government through the Lagos City Council, until the creation of Lagos State in 1967, which led to the splitting of Lagos city into the present day seven Local Government Areas (LGAs), and an addition of other towns (which now make up 13 LGAs) from the then Western Region, to form the state. Lagos, the capital of Nigeria since its amalgamation in 1914, went on to become the capital of Lagos State after its creation. However, the state capital was later moved to Ikeja in 1976, while the federal capital also moved to Abuja in 1991. 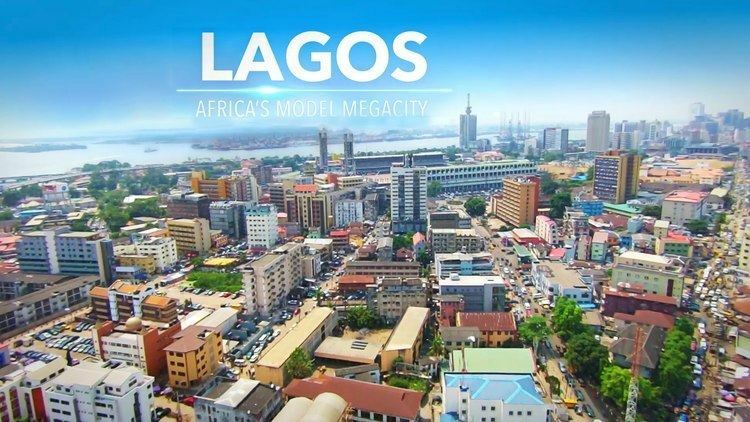 Even though Lagos is still widely referred to as a city, the present day Lagos, also known as "Metropolitan Lagos", and officially as "Lagos Metropolitan Area" is an urban agglomeration or conurbation, consisting of 16 LGAs, including Ikeja, the state capital of Lagos State. This conurbation makes up 37% of Lagos State's total land area, but houses about 85% of the state's total population. The exact population of Metropolitan Lagos is disputed; In the 2006 federal census data, the conurbation had a population of about 8 million people. However, the figure was disputed by the Lagos State Government, which later released its own population data, putting the population of Lagos Metropolitan Area at approximately 16 million. As at 2015, unofficial figures put the population of "Greater Metropolitan Lagos", which includes, Lagos and its surrounding metro area, extending as far as into Ogun State, at approximately 21 million. Lagos was originally inhabited by the Awori subgroup of the Yoruba people in the 15th century. Under the leadership of the Oloye Olofin, the Awori moved to an island now called Iddo and then to the larger Lagos Island. 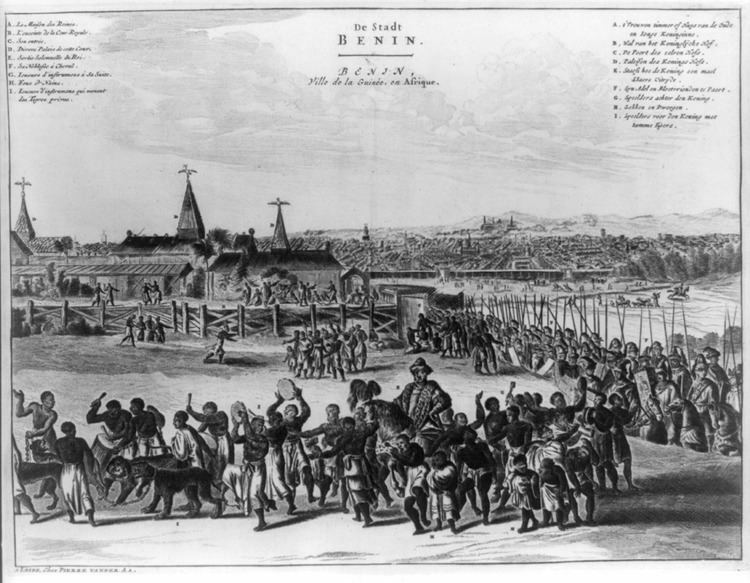 In the 16th century, the Awori settlement was conquered by the Benin Empire and the island became a Benin war-camp called "Eko" under Oba Orhogbua, the Oba of Benin at the time. Eko is still the native name for Lagos. Portuguese explorer Rui de Sequeira visited the area in 1472, naming the area around the city Lago de Curamo. Another explanation is that Lagos was named for Lagos, Portugal—a maritime town which, at the time, was the main centre of Portuguese expeditions down the African coast. In Britain's early 19th century fight against the transatlantic slave trade, its West Africa Squadron or Preventative Squadron as it was also known, continued to pursue Portuguese, American, French and Cuban slave ships and to impose anti-slavery treaties with West African coastal chiefs with so much doggedness that they created a strong presence along the West African coast from Sierra Leone all the way to the Niger Delta (today's Nigeria) and as far south as Congo. In 1849, Britain appointed John Beecroft Consul of the Bights of Benin and Biafra, a position he held (along with his governorship of Fernando Po) until his death in 1854. John Duncan was appointed Vice Consul and was located at Wydah. At the time of Beecroft's appointment, the Kingdom of Lagos (under Oba Kosoko) was in the western part of the Consulate of the Bights of Benin and Biafra and was a key slave trading port. In 1851 and with pressure from liberated slaves who now wielded political and business influence, Britain intervened in Lagos in what is now known as the Bombardment of Lagos or Capture of Lagos resulting in the installation of Oba Akitoye and the ouster of Oba Kosoko. Oba Akitoye then signed the Treaty between Great Britain and Lagos abolishing slavery. The signing of the 1852 treaty ushered in the Consular Period in Lagos' history wherein Britain provided military protection to Lagos. Following threats from Kosoko and the French who were positioned at Wydah, a decision was made by Lord Palmerston (British Prime Minister) who noted in 1861, "the expediency of losing no time in assuming the formal Protectorate of Lagos". William McCoskry, the Acting Consul in Lagos with Commander Bedingfield convened a meeting with Oba Dosunmu on July 30, 1861 aboard HMS Prometheus where Britain's intent was explained and a response to the terms were required by August 1861. Dosunmu resisted the terms of the treaty but under the threat to unleash violence on Lagos by Commander Bedingfield, Dosunmu relented and signed the Lagos Treaty of Cession on August 6, 1861. The remainder of modern-day Nigeria was seized in 1887, and when the Colony and Protectorate of Nigeria was established in 1914, Lagos was declared its capital, continuing as such after the country's independence from Britain in 1960. Along with migrants from all over Nigeria and other West African nations were the returnee ex-slaves known as Creoles, who came from Freetown, Sierra Leone, Brazil and the West Indies to Lagos. The Creoles contributed to Lagos' modernisation and their knowledge of Portuguese architecture can still be seen from the architecture on Lagos Island. Since the 19th century, Lagos gradually transformed to a melting pot of Africans and Europeans. Railway links and telephone cables connecting Lagos to London had been established by 1886. Electric street lighting was introduced in the city in 1898. Lagos experienced rapid growth throughout the 1960s and 1970s as a result of Nigeria's economic boom. Before the creation of Lagos State on 27 May 1967, Lagos, which was the country's capital had been administered directly by the Federal Government as a Federal Territory through the Federal Ministry of Lagos Affairs, while the Lagos City Council (LCC) governed the city. Lagos, along with the towns from the then Western region (Ikeja, Agege, Mushin, Ikorodu, Epe and Badagry), were eventually captured to create Lagos State. Lagos city was split into the present day seven Local Government Areas (LGAs), while the other towns now make up 13 LGAs in the state. Lagos played the dual role of being the State and Federal Capital until 1976, when the state capital was moved to Ikeja. Lagos was adversely affected during Nigeria's military rule. Also, on 12 December 1991, the seat of the Federal Government was also formally relocated to Abuja. However, Lagos still remains the financial centre of the country, and also grew to become the most populous conurbation in the country. The Island is a loose geographical term that is used to define the area of Lagos which is separated from the "mainland" by the main channel draining the lagoon into the Atlantic Ocean, which forms Lagos Harbour. The Island is mainly a collection of islands that are separated from each other by creeks of varying sizes and are connected together by bridges. The smaller sections of some creeks have been dredged and built over. 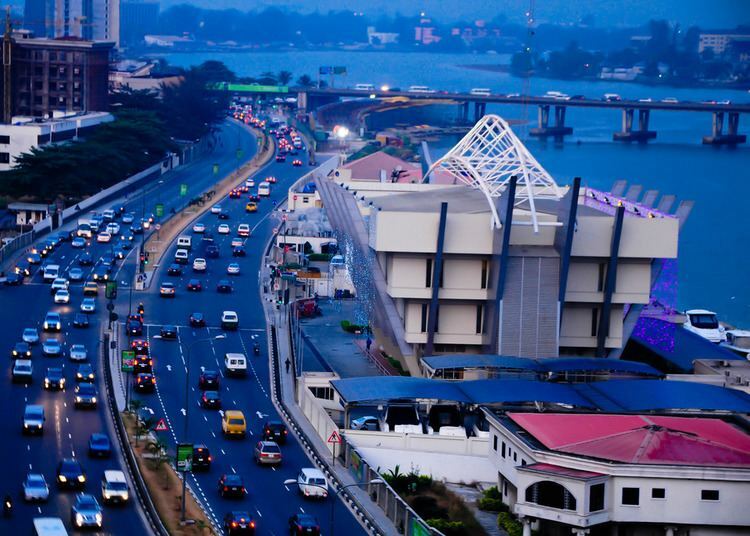 This part of Lagos is the area where most business activities and entertainment events in Lagos takes place. It also houses most of the upscale residential areas in Lagos. The Local Government areas which are considered to be in the Island include: Lagos Island, Amuwo-Odofin, Apapa (sometimes also regarded as being on the mainland) and Eti-Osa. The major upscale island neighbourhoods within these LGAs include: Ikoyi and Victoria Island. Three major bridges join the island to the mainland. They are the Carter Bridge which starts from Iddo, the Eko Bridge (formerly called the Second Mainland Bridge) and the Third Mainland Bridge, which passes through densely populated mainland suburbs to the Lagos Lagoon. Lagos Island contains a central business district. This district is characterised by high-rise buildings. The island also contains many of the city's largest wholesale marketplaces (such as the popular Idumota and Balogun Markets). It also has the National Museum of Nigeria, the Central Mosque, the Glover Memorial Hall, Christ's Church Cathedral (CMS) and the Oba's Palace (Iga Idunganran). Another major part of Lagos Island is Marina. It borders around the idumota and Balogun markets and houses major Banking institutions. Though formerly in a derelict condition, Lagos Island's Tinubu Square is a site of historical importance; it was here that the Amalgamation Ceremony that unified the North and South protectorate to form Nigeria took place in 1914. A huge population of Lagosians also live on the mainland, and most industries are located there. The mainland is known for its music and night life, which used to be located in areas around Yaba and Surulere. However, in recent years more night clubs have sprung up on the Island, making the Island (particularly Victoria Island) the main nightlife attractions. Mainland LGAs include Surulere, Ajeromi-Ifelodun and Lagos Mainland. Metropolitan Lagos suburban LGAs include: Agege, Apapa, Mushin, Oshodi-Isolo and Ikeja (site of Murtala Muhammed International Airport and the capital of Lagos State). Lagos has the tallest skyline in Nigeria. The architectural styles in Lagos are diverse and ranges from tropical, vernacular to colonial European and ultramodern buildings or a mixture. Brazilian style architecture brought by the creoles is evident in buildings such as Water House, Shitta Bey Mosque to mention a few. Skyscrapers and most high rise buildings are centered on the islands while the mainland has some high rise buildings. In recent years, the Lagos State government has renovated existing parks and green areas, with a long term goal of expansion. Many good quality buildings are interspersed across the city. Lagos experiences tropical savanna climate (Aw) according to the Köppen climate classification, as there's a significant precipitation difference between the wet season and the dry season. The wet season starts in April and ends in October, while the dry season starts in November and ends in March. The wettest month is June with precipitation total 315.5 millimetres (12.42 in), while the driest month is January with precipitation total 13.2 millimetres (0.52 in). As the city is located near the equator, the temperature remains constant with no significant difference between the hottest month and the coolest month. The hottest month is March with average temperature 28.5 °C (83.3 °F), while the coolest month is August with average temperature 25.0 °C (77.0 °F). In terms of administration, Lagos is not a single municipality and therefore has no overall city administration. The geographical city limits of Metropolitan Lagos comprises 16 of the 20 Local Government Areas, which together comprise Lagos State. The latter entity provides overall government for the metropolitan region. The Municipality of Lagos, which covered Lagos Island, Ikoyi and Victoria Island as well as some mainland territory, was managed by the Lagos City Council (LCC), but it was disbanded in 1976 and divided into several Local Government Areas (most notably Lagos Island LGA, Lagos Mainland LGA and Eti-Osa LGA). The mainland beyond the Municipality of Lagos, on the other hand, comprised several separate towns and settlements such as Mushin, Ikeja and Agege. In the wake of the 1970s Nigerian oil boom, Lagos experienced a population explosion, untamed economic growth, and unmitigated rural migration. This caused the outlying towns and settlements to develop rapidly, thus forming the present day "Lagos Metropolitan Area", also known as "Metropolitan Lagos". The history of Lagos is still evidenced in the layout of the LGAs which display the unique identities of the cultures that created them. By 2006, the metro area around Lagos had extended beyond Lagos State's boundaries and attained a megacity status. This much larger area is referred to as "Greater Metropolitan Lagos" or "Lagos Megacity Region", which is a continuous built up land area of additional 1,535.4 square kilometres (592.8 square miles), comprising sprawls in LGAs situated next to Lagos' eastern and western city limits in Lagos State, and beyond northern limits, spilling into the LGAs in adjoining Ogun State. Ogun State LGAs within Greater Metropolitan Lagos majorly include: Obafemi Owode, Sagamu, Ifo, Ado-Odo/Ota and part of Ewekoro. Today, the word Lagos most often refers to the urban area, called "Metropolitan Lagos" in Nigeria, which includes both the islands of the former municipality of Lagos and the mainland suburbs. Lagos State government is responsible for some of the utilities including roads and transportation, power, water, health and education. Metropolitan Lagos extends over 16 of the 20 LGAs of Lagos State, and contains about 85% of the population of Lagos State, and includes semi-rural areas. Lagos City has a considerable number of high-rise buildings which dominate its skyline. Most of the tall buildings are located in the downtown Central Business District. Lagos was the former capital city of Nigeria but it has since been replaced by Abuja. Abuja officially gained its status as the capital of Nigeria on 12 December 1991, although the decision to move the federal capital had been made in now Act no. 6 of 1976. Lagos is also home to the High Court of the Lagos State Judiciary, housed in an old colonial building on Lagos Island. Although the 2006 National Population Census of Nigeria credited the metropolitan area with a population figure of 7,937,932, the figure is at variance with some projections by the UN and other population agencies and groups worldwide. The population figure of Lagos State given by the Lagos State Government is 17,553,924. It was based on claimed conducted enumeration for social planning by the Lagos State Government "parallel census" and it believes that since the inhabitants of the metropolitan area of Lagos constitute 88% of the Lagos State population, the population of metropolitan Lagos is about 15.5 million. A rejoinder to Lagos State Government views concluded that Lagos State concealed the fact that the population projection, for Lagos Urban Agglomeration by the UN agencies had been revised downwards substantially as early as 2003. It failed to interpret the two most important and fairly representative and reliable secondary data sets already in public domain, the National Identity Card Scheme and the 2003 Voters Registration figures from INEC. The figures for 2007 Voters Registration by INEC were an act subsequent to the release of the provisional census results and comprehensively corroborate, vindicate and validate the population figures in no uncertain terms. According to the official results of the 2006 census, there were 8,048,430 inhabitants in Metropolitan Lagos. This figure was lower than anticipated, and has created controversy in Nigeria. Lagos Island, the central Local Government Area and historic centre of Metropolitan Lagos, had a population of 212,700 at the 2006 Census. Authorities of Lagos State have attacked the results of the 2006 census, accusing the Nigerian National Population Commission of having undercounted the population of the state. This accusation is denied by the National Population Commission. A study found that research carried out by Africapolis (the African subsidiary of e-Geopolis backed by the Agence française de développement), in addition to the cross-referencing of official figures with more scientific independent research concluded that the 2006 census figures for Lagos State of about 9 million were valid and that the state's own assessments are inflated. Lagos is, by most estimates, one of the fastest-growing cities in the world. Lagos is currently experiencing a population increase of about 275,000 persons per annum. In 1999 the United Nations predicted that the city's metropolitan area, which had only about 290,000 inhabitants in 1950, would exceed 20 million by 2010 and thus become one of the ten most populated cities in the world. There is a huge spectrum of wealth distribution among the people that reside in Lagos. It ranges from the very wealthy to the very poor. Lagos has attracted many young people and families seeking a better life from all other parts of Nigeria and beyond and this has also contributed to its cosmopolitan status. 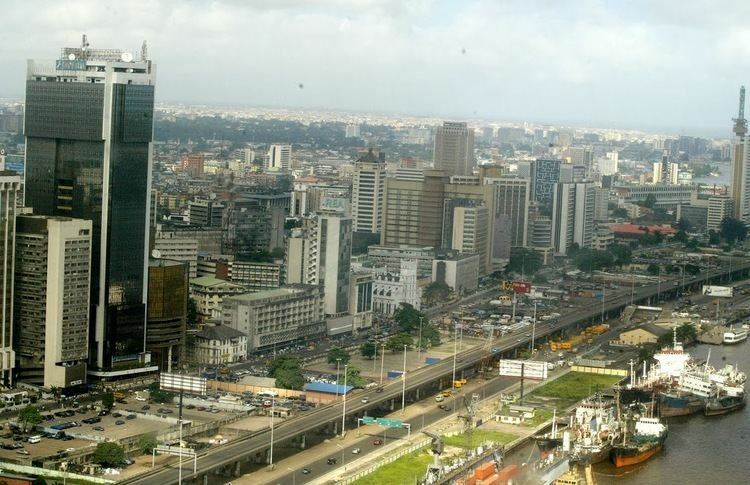 The city of Lagos is a major economic focal point in Nigeria, generating around 10% of the country's GDP. Most commercial and financial business is carried out in the central business district situated on the island. This is also where most of the country's commercial banks, financial institutions and major corporations are headquartered. Lagos is also the major Information Communications and Telecommunications (ICT) hub of West Africa and potentially, the biggest ICT market in the continent. Lagos is developing a 24-hour economy and has also been ranked as one of the most expensive cities in the world. In some parts of Lagos, residents have one of the highest standards of living in Nigeria and in Africa. At the same time, a sizable proportion of the residents live in slums without access to piped water and sanitation. The Port of Lagos is Nigeria's leading port and one of the largest and busiest in Africa. It is administered by the Nigerian Ports Authority and it is split into three main sections: Lagos port, in the main channel next to Lagos Island, Apapa Port (site of the container terminal) and Tin Can Port, both located in Badagry Creek, which flows into Lagos Harbour from the west. The port features a railhead. The port has seen growing amounts of crude oil exported, with export figures rising between 1997 and 2000. Oil and petroleum products provide 14% of GDP and 90% of foreign exchange earnings in Nigeria as a whole. Lagos is famous throughout Africa for its music scene. Lagos has a vibrant nightlife and has given birth to a variety of styles such as Sakara music, Nigerian hip hop, highlife, juju, fuji and Afrobeat. Lagos is the centre of the Nigerian movie industry, often referred to as 'Nollywood'. Idumota market on Lagos Island is the primary distribution centre. Many films are shot in the Festac area of Lagos. Iganmu is home to the primary centre for the performing arts and artistes in Nigeria: the National Arts Theatre. James Brown performed in Lagos in 1970. Paul McCartney recorded his fifth post-Beatles album, Band on the Run, in an EMI studio in Lagos in August and September 1973. Other foreign musicians who have also performed in the city include: Sean Paul, Snoop Dogg, 50 Cent, Akon, Jarule, Ashanti, Usher, Shaggy, R Kelly, especially during the Star Mega Jam; Shakira, John Legend, Boyz II Men T-Pain, Brian McKnight, JayZ, Mary J. Blige, Beyoncé, Brandy, Ciara, Keri Hilson and Lauryn Hill, among others. Football is Lagos' most popular sport. Prominent Lagos football clubs include Bridge Boys F.C. and First Bank: both play in Nigeria National League, the second tier of Nigerian football. The Nigeria national football team, also known as the Super Eagles, used to play almost all of their home games in Lagos at the National Stadium in Surulere; however, games are now mostly played at the larger and newer Abuja National Stadium in Abuja, which is the default home of the Super Eagles. Lagos also hosted the 2nd All-African games in 1973. Cycling is increasingly becoming a sport to be reckoned with. About three years ago, Cycology Riding Club started a club in Lagos and soon after, other clubs mushroomed in cities like Port Harcourt and Abuja. Some of these clubs aim to promote cycling as a lifestyle and create awareness through social initiatives in their communities. Considering the traffic congestion in the big cities, it is a welcome sight, environmentally, to see Nigerians ply the streets on two wheels. Lagos has become an important location for African and "black" cultural identity. Lots of festivals are held in Lagos; festivals vary in offerings each year and may be held in different months. Some of the festivals are Festac Food Fair held in Festac Town Annually, Eyo Festival, Lagos Black Heritage Carnival, Lagos Carnival, Eko International Film Festival, Lagos Seafood Festac Festival, LAGOS PHOTO Festival and The Lagos Jazz Series which is a unique franchise for high quality live music in all genres with a focus on Jazz. Established in 2010, the popular event takes place over a 3-5 day period at selected high quality outdoor venues. The music is as varied as the audience itself and features a diverse mix of musical genres from Rhythm and Blues to Soul, Afrobeat, Hiphop, Bebop and traditional Jazz. The festivals provide entertainment of dance and song to add excitement to travelers during a stay in Lagos. Some of the famous cuisines in Lagos include indigenous delicacies like Eba and Egusi, Amala and Ewedu, Jollof, Ofada Rice, Plantain locally called dodo, Beans, Suya (spicy shish kebab or spiced roasted beef) which is consumed in local clubs and bars with a bottle of cold beer, Eba made from cassava and eaten with soups prepared with vegetables and mixture of spices and herbs. Other cuisines range from local ones like Iyan (pounded yam) made from yam flour, Amala, Asharo usually eaten with various kind of vegetables and Egusi (melon soup) to European, Middle-Eastern and Asian cuisine. The Lagos State Government operates state schools. The education system is the 6-3-3-4 system, which is practised throughout the country (as well as by many other members of the Economic Community of West African States). The levels are Primary, Junior Secondary School (JSS), Senior Secondary School (SSS) and university. All children are offered basic education, with special focus now on the first nine years. Many of the schools in Nigeria are federally funded and usually are boarding schools. A few examples are Federal government college Odogbolu (FGCOdogbolu), Federal government girls college Sagamnu (FGGCSagamu) and Federal government college Kano (FGCKano). The state of Lagos has its own federally funded high schools namely Federal government college Ijanikin also known as FGC Lagos, Kings College and Queens College. Lagos is home to various postsecondary schools, universities and other vocational institutions that are either operated by the government or private entities. Institute for Industrial Technology (IIT) : founded in 2000, IIT is a technical vocational school for male youth from families with limited resources. Its educational model is based on the Dual Training System. Yaba College of Technology (YABATECH) : founded in 1934, the college is Nigeria's first higher educational institution and third in Africa. The college is a center of culture and heritage. Currently it has student enrolment of over 16,000. Lagos State Polytechnic is a polytechnic comprising more than six schools including private polytechnics and was founded 25 years ago. Its main campus resides at Ikorodu, along Shagamu road. Lagos City Polytechnic, located at 6/8, Bashiru Oweh Street, Off Simbiat Abiola Road (formerly Medical Road), Ikeja – This is the first private Polytechnic in Nigeria. It was established in 1990 by Engr. Babatunde Odufuwa. Engr. Odufuwa hails from Oke-Aye in Ijebu North East Local Government Area (I.N.E.L.G) of Ogun State. Federal College of Fisheries and Marine Technology is a monotechnic that offers courses in fisheries technology, general science, marine engineering and nautical science. The University of Lagos (UNILAG) Akoka, is a large institution dating from 1962, with over 55,000 students. It comprises 13 faculties, run by over 4,000 staff. Lagos State University (LASU) is a multi-campus university established in the year 1984 and owned by the Lagos State government. The main campus is located at Ojo, along the Lagos-Badagry Expressway. Pan-Atlantic University formerly known as Pan-African University has a business school (LBS), a school of mass communication (SMC) and an entrepreneurial development center (EDC), specialized in providing short courses for SMEs. Lagos Business School (LBS) is the famous of them all, awarding world-class MBA and EMBA. The School of Mass Communication is also known for its pragmatic communication courses in the field of journalism, media and marketing. SMC awards BSc., MSc., and PHD in social science courses. Founded in 1996 and awarded University status in 2002. The University also places some emphasis on the study of art, running the Virtual Museum of Modern Nigerian Art. National Open University of Nigeria is the first open university in Nigeria; it is located on Ahmadu Bello Way, Victoria Island, Lagos. Caleb University is a private university located at Imota, Lagos. Lagos State College of Health Technology (LASCOHET) is an institution that runs health courses such as Health Information Management, Pharmacist Tech, Medical Laboratory Tech, Community Health Extension and Environmental Health Technology; it is located in Yaba. Lagos University Teaching Hospital (LUTH), Idi-Araba-Mushin, Lagos. 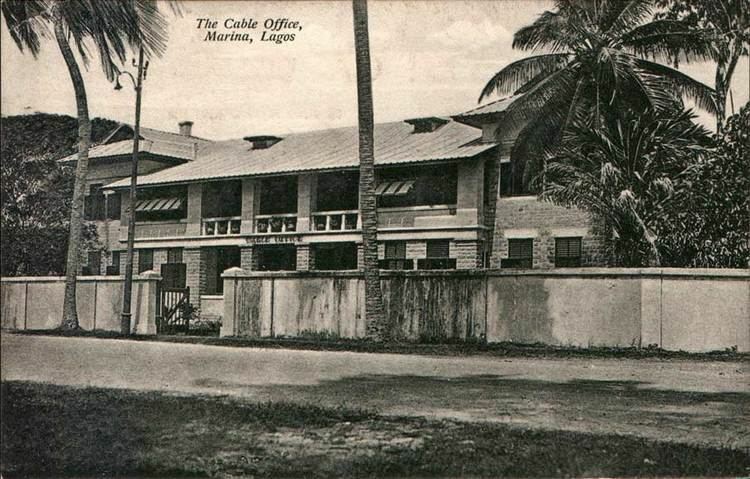 Lagos has many hospitals and medical facilities, some of which have accomplished feats in Nigeria's medical history. For example, the oldest Nigerian hospital is located in the city as well as West Africa's first air-operated emergency medical service which commenced in the city. The Lagos healthcare system is generally divided into public and private sectors which provide medical services at the primary, secondary and tertiary levels. Although the private hospitals are usually more expensive, it does not necessarily translate to better healthcare delivery. Lagos has one of the largest and most extensive road networks in West Africa. It also has suburban trains and some ferry services. Highways are usually congested in peak hours, due in part to the geography of the city, as well as to its explosive population growth. Lagos is also linked by many highways and bridges. A new rail system which is supposed to span the length of the Badagry expressway is currently under construction. The Lagos–Ibadan Expressway and the Lagos–Abeokuta Expressway are the major controlled-access highways in the north of the city and serve as inter-state highways to Oyo State and Ogun State respectively. To the west the congested Lagos–Badagry Expressway serves outlying towns such as Festival Town, which was the location for the 1977 Festival of Black Arts and Culture 77. Lagos's importance as a commercial centre and port and its strategic location have led to it being the end-point of three Trans-African Highway routes using Nigeria's national roads. The Trans–West African Coastal Highway leaves the city as the Badagry Expressway to Benin and beyond as far as Dakar and Nouakchott; the Trans-Sahara Highway to Algiers, which is close to completion, leaves the city as the Lagos-Ibadan Expressway. Lagos State has a bus rapid transit (BRT) system; the first phase was completed in February 2008. It is expected to operate along eight routes using specially designated bus rapid transit lanes running through the city, with the aim of expanding to other routes in the future. The first phase of the Lagos BRT runs 19 km (12 mi) through Ikorodu Road and Funsho Williams Avenue up to CMS. After weeks of test runs, operations started on 17 March 2008, six months earlier than planned. Also, the signature color of Lagos state 14-seater bus (known as Danfo) is yellow with a touch of black. It has been estimated that the system will transport about 10,000 passengers in each direction per hour during peak travel times. At these times traffic congestion, called "Go Slow", by Lagosians, can be extreme. The LAMATA bus rapid transit corridor covers a distance of about 22 km (14 mi). The system is run by two operators, NURTW Cooperative (Nigerian Union of Road Transport Workers) and Lagbus, a Lagos State Government owned Asset Management Company which contributes about 180 high-capacity buses for the implementation of the first phase Mile 12 to CMS BRT Lite system. An extensive urban rail system, Lagos Rail Mass Transit, running through the Lagos metropolis is currently under construction. Several intercity and commuter trains serve Lagos through the Lagos Terminus railway station. Lagos State Ferry Services Corporation runs a few regular routes, for example between Lagos Island and the mainland, served by modern ferries and wharves. Private boats run irregular passenger services on the lagoon and on some creeks. Lagos is served by Murtala Muhammed International Airport, one of the largest and busiest airports in Africa. The airport is located in the northern suburb of Ikeja and has Domestic and International Terminals. With 5.1 million passengers in 2008, the airport accounts for almost fifty percent of all air traffic in Nigeria. Murtalla Muhammad International Airport Lagos is known is largest west African airport that serves million of Nigerian Expats from all over the world. The airport is main hub of Medview Airline and Arik Air but other major airlines like British Airways, Virgin Atlantic, KLM, Air France, Lufthansa and Turkish airlines operate daily flights to Lagos from all over the globe. Outbound international travel from Murtala Mohammed Airport accounts for the majority of all air passengers travelling to and from Nigeria. The airport has recently undergone upgrades along with the addition of a new terminal.